At Cutera, we develop new solutions that give medical aesthetic professionals the power to adapt, evolve, and stay at the forefront of the field so that they can deliver true patient satisfaction. 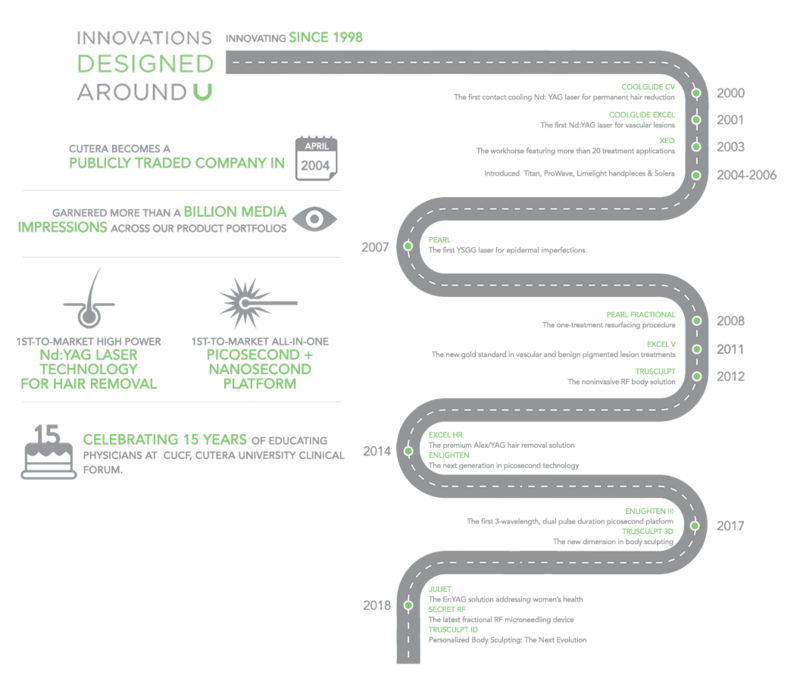 Ideating, exploring, designing, testing, and developing new solutions is the foundation of our process that has created truly one-of-a-kind devices. 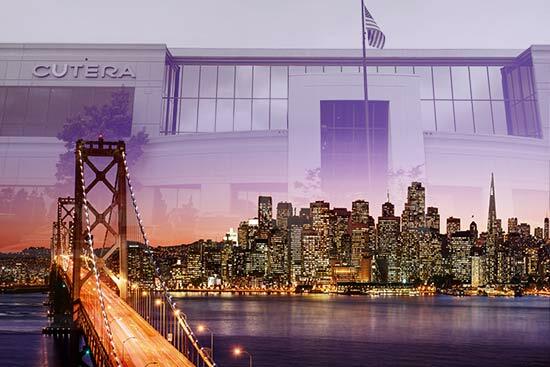 In 1998, veteran laser and optical engineers founded Cutera—and that original spirit of innovation drives the advancements we pioneer in medical aesthetic practices globally. Since our founding, we’ve been ideating, exploring, designing, testing and developing new solutions in our Headquarters location in the San Francisco Bay Area. We aim to drive the vision and deploy industry-first approaches. We partner with our physician clients to understand their needs, so we can deliver solutions that meet—and create—market demand. Our commitment at Cutera to remains grounded in providing medical aesthetic professionals the power to adapt, evolve and stay current, so they deliver true patient satisfaction. At Cutera, our philosophy is powerfully simple—define the forefront of medical aesthetics with devices exquisitely engineered to deliver the highest level of performance, safety, and efficacy. 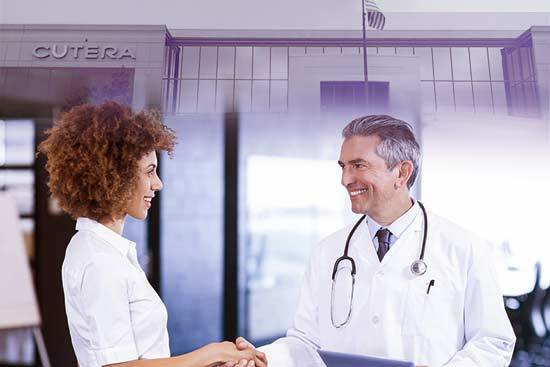 Cutera devices address a wide range of Face + Body medical aesthetic applications — with results that drive patient satisfaction and practice growth.